Our modern world is driven by data. Increasingly, both individual consumers and companies alike are making decisions based on data. Not every company has caught onto this trend, of course. But, many organizations have discovered that staying competitive involves harnessing the power of data in their decision making. Of course, not all approaches to data collection and analysis are created equal. In fact, proper data visualization requires the right tools. By generating reports with a solution like Microsoft Power BI, you’ll be able to present data to your organization’s team members in a meaningful, integrated way. As a result, you’ll help create and grow a “data culture” alongside other aspects of your company culture. There’s all sorts of data your company can analyze, too: everything from customer data to your company’s financials, supply chains, operations details, and more -- much of which will come from the ERP solution your organization currently uses. How can you foster a data culture while seamlessly integrating Microsoft Power BI with your ERP of choice? Keep reading to find out. Before you actually dig into your data, you have to figure out what you want to know. The best way to do this is to decide what questions you want to ask your data. Particularly when it comes to data visualization with your ERP, there’s a huge range of data that you could potentially analyze. Do you want to learn more about your allocation of resources with respect to operations? Are you looking to dig into information about human resources? By knowing what questions you need answered, you’ll have a better sense of how to approach your data from the beginning. 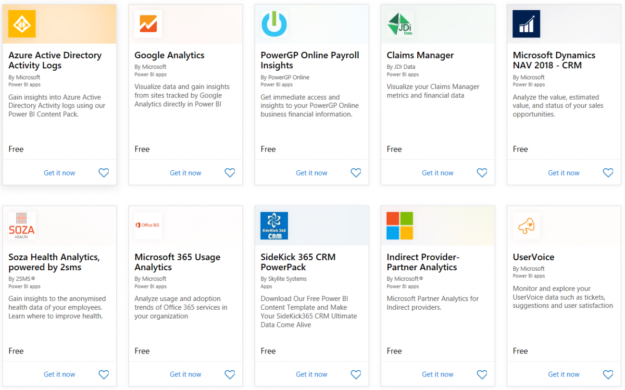 Next, it’s time to connect Microsoft Power BI to your ERP of choice. Fortunately, Power BI makes this easy. 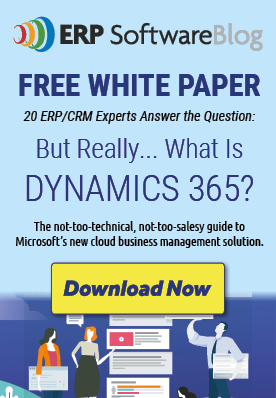 In fact, connection and syncing is virtually automatic with the majority of ERP solutions, including Dynamics ERP and others. Microsoft Power BI includes a number of apps designed to offer immediate functionality and data processing. You may be surprised as just how quickly you can create and analyze your new data reports. There’s nothing worse than staring at thousands of rows and columns of spreadsheet data. Cell upon cell of numbers, trailing off into the distance on your screen -- how many employees will actually use data when it’s presented this way? With Microsoft Power BI, you can use the data contained in your ERP to generate beautiful, vibrant reports for your organization’s team members. Waffle charts, stream graphs, radar charts, bar graphs, and more are at your fingertips. 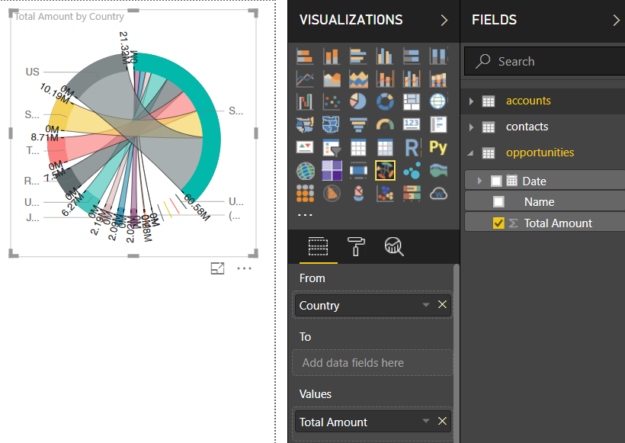 With the drag-and-drop functionality that’s built right into Power BI, it’s never been easier to put together reports that are visually pleasing and easy to interpret. If your organization is using Office 365, tagging team members in individual reports couldn’t be simpler. All you have to do is make use of Microsoft’s @mention functionality and team members will be notified immediately. You did it! You’ve managed to get up and running with Microsoft Power BI in no time. So, what’s next? 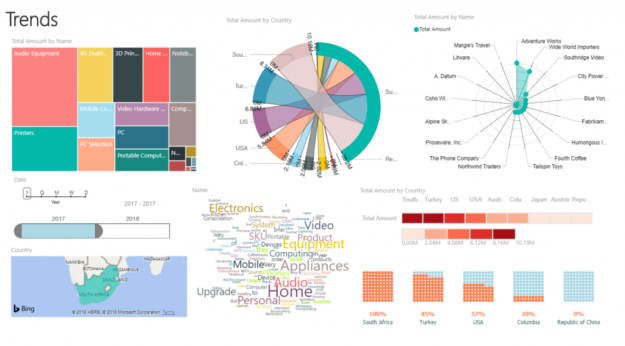 While Power BI allows you to make use of valuable ERP data right away, you don’t have to stop there. In fact, refining your analysis over time is what will help your organization stay competitive. As more and more of your organization’s team members become engaged in your company’s new data culture, new opportunities for growth will open up. If you keep refining your data processes, the sky’s the limit! Ready to get started with building your company’s data culture? We can help! Contact AKA Enterprise Solutions today to learn more.